Pancake is a regular item in a Western breakfast. It is made with maida. In my attempts to create popular healthy recipes, I have tried a ragi based pancake. Luckily it has come up very well and everyone in my family love it. 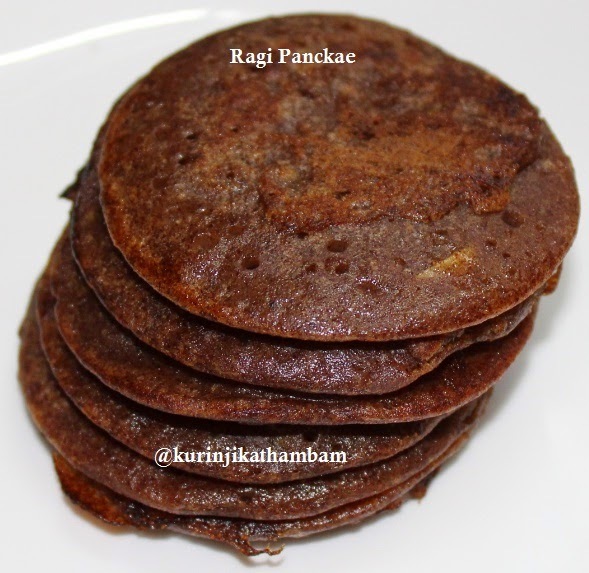 So I am delighted to share this ragi pancake recipe idea. 1. Heat the jaggery in a bowl with ¼ cup of water. When jaggery dissolves completely, switch off the stove. 2. Filter the syrup with steel filter and keep it aside. 3. Peel and cut the banana into small pieces. 4. In a mixie, add ragi flour, rice flour, banana and cardamom. First grind without water, then add little water and grind them into a smooth paste. 5. Transfer it into a bowl. Then add salt and the jaggery syrup. Mix them well and bring it into a dosa batter consistency. Add water if necessary. Keep it aside for 30 mins. 6. Heat the pancake tawa or dosa tawa, sprinkle oil and make small dosas. Allow them to cook and turn over them. Cook till the dosa color changes into brown. 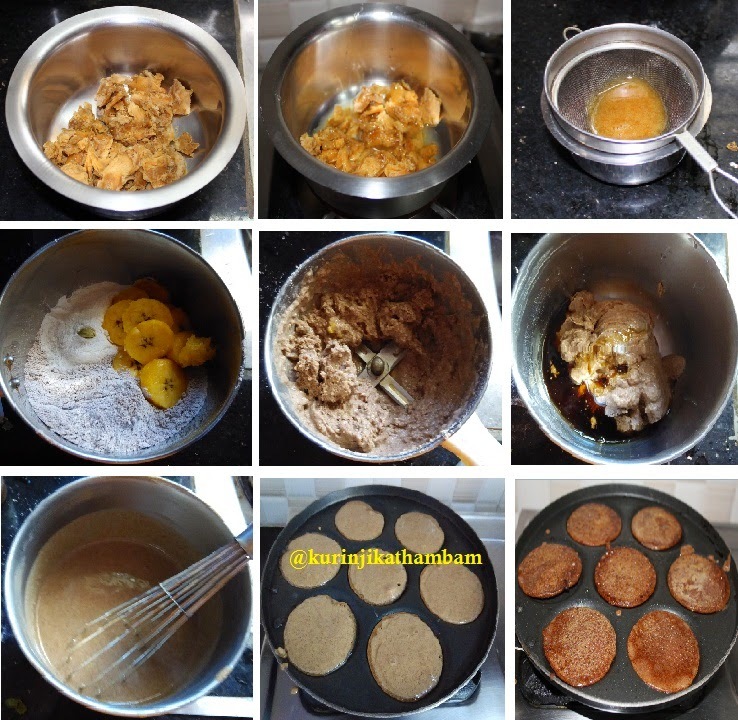 Tasty and healthy ragi pancake is ready. Serve with honey or have it as it is. Note: You can use any type of banana instead of Nenthiran pazham. But Nenthiran banana gives flavour and taste. 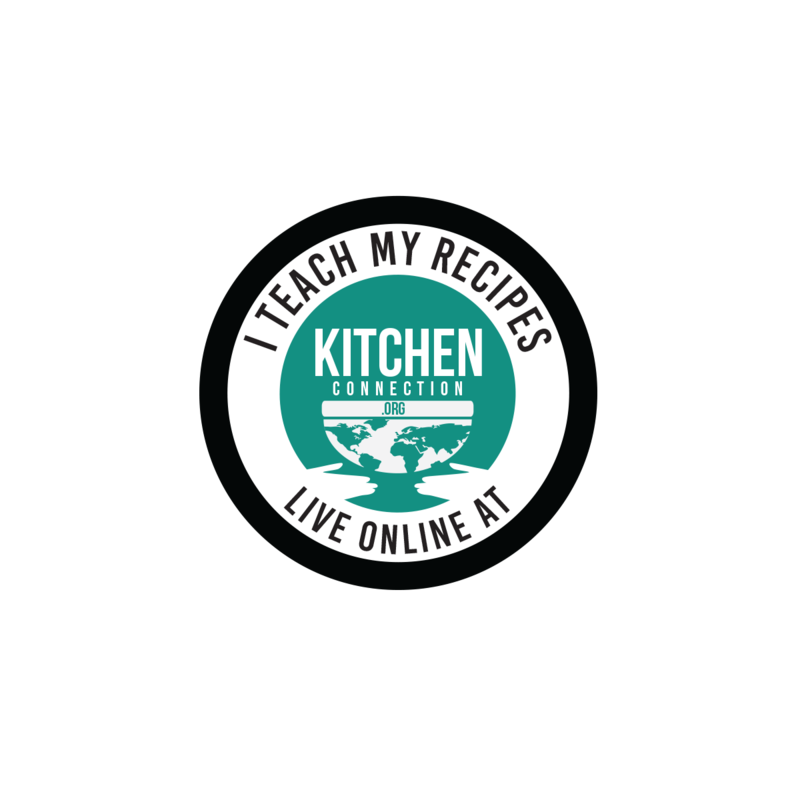 I am sending this to Gluten free friday event by vegetarianmamma. Wow..I tried this kurunji.It came out well and I added normal bananas instead. Wow!! lovely pancakes!! looks so soft and spongy! !